Picture this scene: Christmas shoppers who are forced to pause for breath amidst the frenzied consumer melee in a department store actually listen to the words of a Christmas carol playing in the background while they are slumped over a lingerie display case. What might they hear? “Come, desire of nations, come. Fix in us they humble home. Rise, the woman’s conquering seed, bruise in us the serpent’s head. Adam’s likeness now efface, stamp thine image in its place. Second Adam from above, reinstate us in thy love” (Last verse of Hark, The Herald Angels Sing). Admittedly, the lyrics in some Christmas carols are not so accurate, but at what other time of year are this many godly words proclaimed in public? It is only this month when the world in general at least glances at Jesus Christ, the only-begotten Son of God. Sad to say, those prompted to investigate his unique claims too often come face-to-face with incomprehensible theological jargon that quenches their desire to know more about him. For example, he was the first and only “God-baby,” “God-teen,” “God-man,” etc. I trust you know, and share with others, the biblical truth we teach as to how the erroneous idea of the Trinity and that Jesus is God diminish both the love of God and the heroic feats of His Son on our behalf. If Jesus were “God in human flesh,” his accomplishments are hardly impressive, because nothing is hard for God. And if you are a parent, you can identify with God’s indescribable agony at having to watch his precious Son brutalized and murdered. It took far more love for God to ask His Son to endure that horror than it would have for God to mysteriously become a baby and then grow up to contradictorily violate His inherent eternality by dying. Please think about the pattern that God established when He gave His only begotten Son (as per John 3:16 at NFL stadiums). Godsoloves mankind that Hegave the greatest gift He could ever give. Love is giving. Think what it took for God to ask Jesus to suffer and die. How awesome that God, as He always does with us, gave Jesus the free will choice to obey, unlike the pagans who heartlessly burned their children in sacrifice to Moloch and Chemosh. Now think about how Jesus so lovedthat he followed God’s supreme example and gavehis most precious possession—his life. He knew that if he gave, God would multiply his gift back to him many-fold. And of course He did, by raising Jesus up to new and everlasting life with its incalculable blessings, including the joyous privilege of raising to new life all those who ever believed in him. 9 “As the Father has loved me, so have I loved you. Now remain in my love. 10 If you keep my commands, you will remain in my love, just as I have kept my Father’s commands and remain in his love. 11 I have told you this so that my joy may be in you and that your joy may be complete. 12 My command is this: Love each other as I have loved you.13 Greater love has no one than this: to lay down one’s life for one’s friends. 14 You are my friends if you do what I command. Wow! I want to know the Lord intimately and manifest his joy. A vital key to achieving those goals is to grasp how much he loves me, and what he has done for me. Then I will reciprocate by showing his love to others whom he loves. Any friend of Jesus is to be a friend of mine. 14 For Christ’s love compels us, because we are convinced that one died for all, and therefore all died. 15 And he died for all, [so] that those who live should no longer live for themselves but for him who died for them and was raised again. God makes it clear to us that we are most joyful and fulfilled when we are thinking of others rather than ourselves. He also shows us that self (the sin nature) is our mortal enemy. How can we follow our Father’s and our Brother’s example? How can we lay down our lives for another? How can we demonstrate our love? What is it that we have to give? I believe the best thing we can give someone is the Treasure of Truth—the Word of God, with which we have been entrusted. That is “the gift that keeps on giving.” A smile is perhaps the easiest thing we can give, but we can also give our time and energy to help people in a myriad of ways. We might help them clean their attic, give them a ride to the store, make them a meal, pray for them, or just be there to comfort them in a time of sorrow. Of course we can also share our material possessions with them, be it food, clothing, shelter, or money—and there are countless verses of Scripture about that. In closing this missive, I will enthusiastically ask you for as generous a year-end gift as you can give to this unique ministry, and also for your regular support in 2017. If you’ve ever heard me in a public meeting talk about financial giving, you know that I never hold back in encouraging folks to give. Why? Because I know what the Word says about how God will bless those who do. First, let me give you some information that might help you make such a decision. This month marks the end of our seventh year of operation in TLTF, which we started “without a dime.” But thanks to the response of those brethren whom I initially solicited for support, we could begin to pay Franco Bottley for his world-class graphic arts talent, and he is still the only person receiving anything close to fulltime pay. We have contracted with Christina Bottley as our part-time Social Media Coordinator, and Bob Wassung is also paid part-time for teaching our monthly Research Fellowship, coordinating our Research Committee, and answering many questions we receive about Bible topics. Don Chamberlain (Prayer Team Coordinator), Leah Cooper (Online Store Coordinator), Elizabeth Lynn (Women’s Fellowship Coordinator), and Rosanne Martino (Bookkeeping) do a great job for us as volunteers. As you may know, when it comes to financial giving, the biblical principle is that we believers are to “give in response to a blessing.” IF you have been touched by the work we are doing in TLTF, and IF you believe in what we are doing, and IF you would like to see others benefit from it, please share a generous year-end gift with us, and then send a regular gift in 2017. Please don’t think that something like $10 a week wouldn’t help us, because it does. As per the following verses, God is very direct in regard to supporting whoever accurately teaches you His Word. 6 The one who is taught the Word is to share all good things with the one who teaches him.7 Do not be deceived, God is not mocked; for whatever a man sows, this he will also reap. 8 For the one who sows to his own flesh will from the flesh reap corruption, but the one who sows to the Spirit will from the Spirit reap eternal life. 9 Let us not lose heart in doing good, for in due time we will reap if we do not grow weary. 10 So then, while we have opportunity, let us do good to all people, and especially to those who are of the household of the faith. I know that you, like we, are eagerly awaiting the release of Jesus Christ: The Diameter of the Ages, which we hope to have ready by Christmas. One reason we are making it available free is to give you the opportunity to give in response to the blessing it is to you. When we originally set forth to our supporters an estimated $40K for the cost of filming and producing JCDA, dear brethren responded with a little more than $35K, and it looks like we will end up spending just about that amount. But that does not include the hundreds of hours Franco is putting into editing the video, or my time for teaching it and doing the syllabus. By the grace of God, I have so far been able to get along without a regular salary from TLTF. 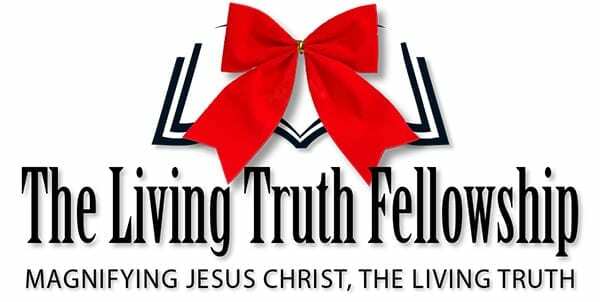 We want our work to so touch you that you contribute to TLTF gleefully, with the attitude described in 2 Corinthians 8 and 9, as per the following excerpts. And finally, here are a few more words the Lord Jesus gave to Paul for us. The last verse of this section is a clarion call describing the heart of a genuine minister of the Gospel. God and the Lord long to bless us, both now and at the Judgment Seat of Christ. Throughout my nearly 50 years of ministry, God has proven to me that He will provide for me no matter what. Yes, we need money to run TLTF, but we want you to one day reap the full harvest of your material giving in this life. 14 Yet it was good of you to share in my troubles. 15 Moreover, as you Philippians know, in the early days of your acquaintance with the gospel, when I set out from Macedonia, not one church shared with me in the matter of giving and receiving, except you only; 16 for even when I was in Thessalonica, you sent me aid more than once when I was in need. 17Not that I desire your gifts; what I desire is that more be credited to your account. Sharing of our material possessions is a very concrete way by which we can measure both our own commitment and the degree to which God blesses us for so doing. God challenges His people to “prove Him,” so let’s “step out of the boat” and watch Him make the water firm beneath our feet. If you do support TLTF financially, you know that I personally acknowledge every gift we receive. But again, on behalf of all our TLTF leadership nucleus, I say THANK YOU, THANK YOU, THANK YOU!!! And if you can increase your giving for 2017 by any amount, that would be a big help.